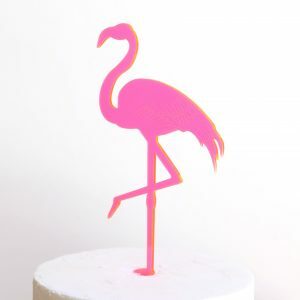 Our Flamingo Cake Topper is bright and fun- perfect for all sorts of occasions! Our Flamingo Cake Topper is great for all occasions. Whether it’s a birthday or a picnic, this topper is sure to put a smile on everyone’s face. 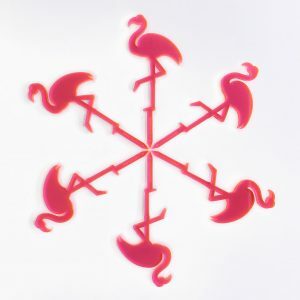 Our Neon Pink acrylic makes a statement with its natural fluorescents- no lights needed! A different pink at every angle, see our photos above to watch it transform. 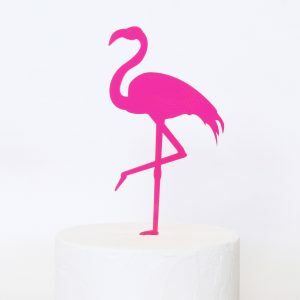 20cm tall x 11.5cm wide with a 5cm spike.